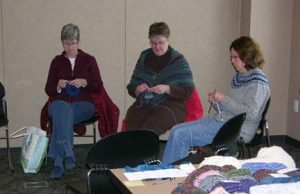 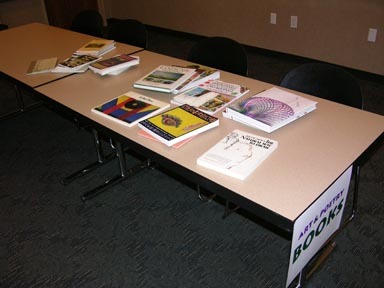 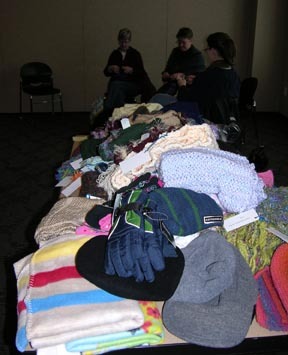 In 2010, the MLK Day event was called “Give Care * Warmth * Art, and took place on January 18 from 9am to 1pm in the Urbandale Library meeting room. We collected personal care items, winter scarves/hats/baby blankets (especially hand-knitted), new art supplies, and art and poetry books. 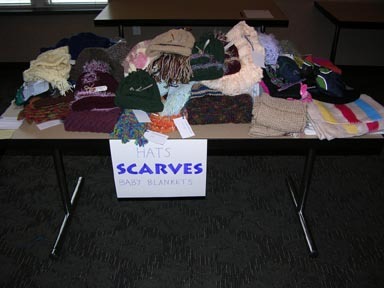 The personal care items and winter scarves went to the Urbandale Food Pantry, and the art supplies and art and poetry books went to Culture Incorporated, which offered a safe, supportive, engaging, interactive environment for young people to explore and express themselves through the arts. 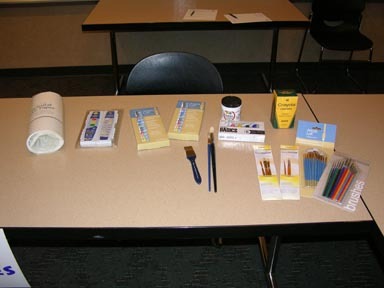 Its after-school art programming, mentoring, tutoring, and more, helped Des Moines youth realize their artistic and life potential. Also, this was the first year that the Library organized a companion event called Food for Fines. 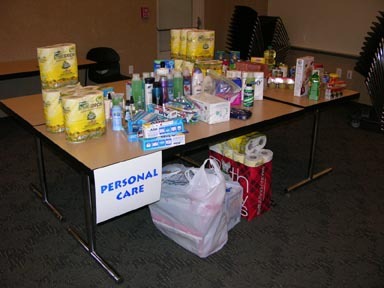 Library patrons could erase their library fines on one patron account with donations of food or personal care items.